Evolution's Doug Howard (Vice-President, Merrifield manager) talking with Austin Hamilton (professional player), Garrett Johnson (Oakton), and Mike Powell (Robinson). 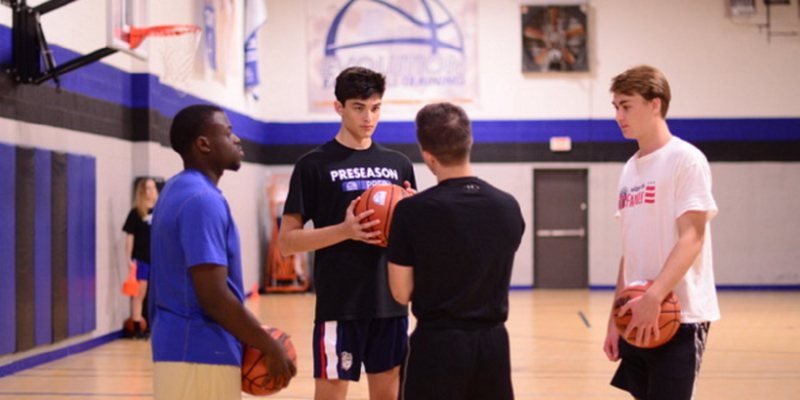 Evolution Basketball Training is off to a strong start in 2019! This year, like many in the past, its players are having an incredible amount of success throughout this high school season. Some of the major highlights include eight Evolution players leading the DMV in scoring, eight of their seniors having already committed to college (to include two going ACC and two going Ivy League). To top it off, seven Evolution players have hit the 1,000 point mark in their high school careers over the past few weeks. With another wave of talented younger players in the freshman and sophomore classes, as well as their middle school talent, it appears that Evolution’s players will continue to highlight the Northern VA area for years to come. 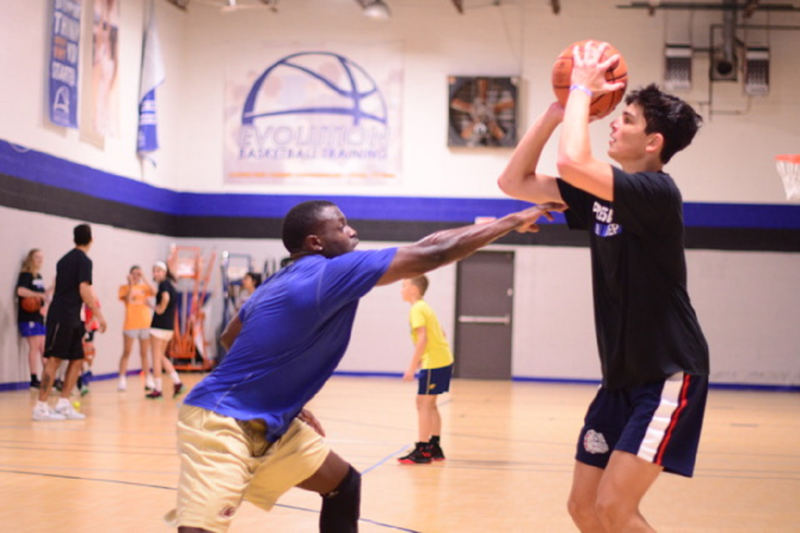 As they continue to grow with their new Gainesville and Chantilly facilities, Evolution will undoubtedly provide even more opportunity for more players across our region. If you are interested in Training with Evolution or any of their other programs, please visit them at www.evobball.com.